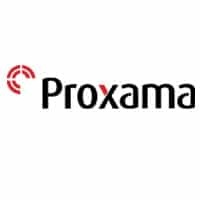 NFC World is pleased to welcome NFC and mobile payments pioneer Proxama as a member of its partner program. The company was involved in some of the world’s first NFC payments projects and now offers clients end-to-end mobile payment solutions and proximity marketing services from offices in the UK and the USA. Proxama provides solutions to card issuers to securely transition their card portfolio onto mobile for NFC contactless payments as well as solutions for EMV enablement, electronic PIN delivery, HCE, tokenization, cloud-based payment and card issuance management. The company’s Digital Enablement Platform (DEP) helps issuers to safeguard their investment in legacy systems and provides a route beyond EMV to innovative services such as tokenisation and NFC mobile payments. The mobile commerce provider is also involved in a number of proximity marketing projects in the UK including Bluetooth Low Energy (BLE) beacon deployments on buses, in taxi cabs and at eight UK airports. Proxama executives Paul Butterworth, Rob Macmillan and Andy Ramsden have joined NFC World’s expert panel and are available to answer readers’ questions on HCE, cloud-based payment, EMV, tokenization, mobile payments, mobile wallets and BLE. Readers can also access the company’s latest news, blog posts and contact details on Proxama’s partner showcase on NFC World along with a range of resources covering transaction processing, PIN management, cloud-based payments, application management, loyalty rewards and other value added services. Where do you see Proxama’s key revenue markets/products in 1 years time? NFC, payments or beacons?